Golf club locker rooms require a quality finish to match the club’s high standards of the interior and to provide clean, safe, secure and aesthetic storage facilities for its members. Additionally, the locker system must often look traditional to compliment the décor and be hardwearing to provide years of trouble free use. We can provide any combination of lockers in any space available. 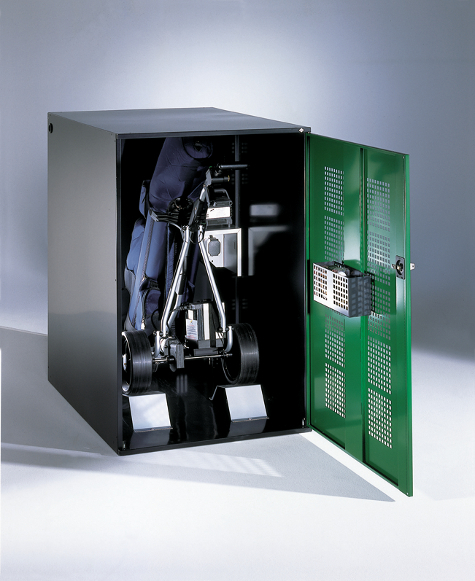 Two and single tier golf club lockers can be installed within the same area and obstacles such as doorways, pillars and windows do not generally provide any problems as we offer a full planning service to help you make the most of your storage space. Easy cleaning of the golf caddie locker room. Golf caddie locker room as a profit centre. 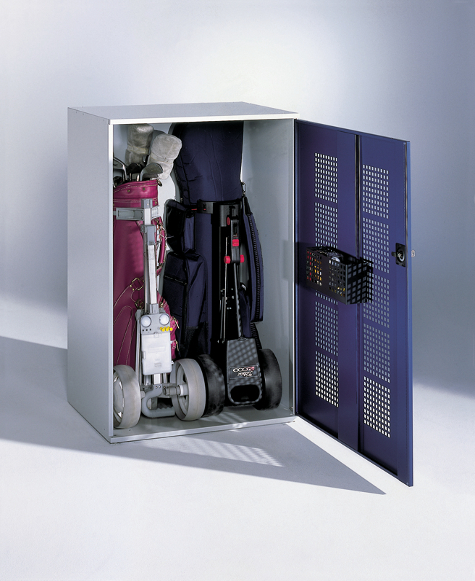 Anti-theft protection and safe storage of the golf caddies. With the Caddixx range, CP Lockers provides practical and smart solutions with functional details: warp resistant doors, height leveling, fully galvanized finish or interior fittings. For storing one pull golf caddie. For set up on the floor or as a top cabinet. With doors hinged right or left depending on setup. For storing up to two pull golf caddies. 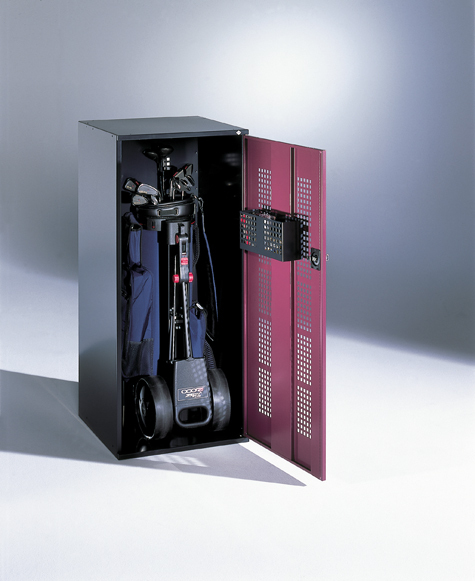 For storing one electric golf caddie. With height adjustable charger shelf and opening for the supply line. When the electric golf caddie is adjusted, only the battery and charger have to be connected to be prepared for the next tee off.